“Spring is the great illuminator,” so say the the wonderfully talented designers of Serena and Lily, a longtime favorite brand of ours. When we received their new catalog, featuring this quote on the first page, it got us thinking. It’s true that the long-awaited sunshine of the first days of spring truly illuminates the world, but it’s also true that spring serves as a great inspiration for illumination—in other words, lamps! Here are some of our favorite spring-inspired fixtures. We think that including one of these in a nursery design would be a great way to keep the illuminating light of a beautiful sunny day in our heart and mind through every season of the year. Last year, we fell in love with this gorgeous beaded pendant lamp, available at PoshTots. We loved it so much, we used it in our nursery design for celebrity client J.R. Martinez. These table lamps are so cute—we’re considering getting a couple for our corporate offices. 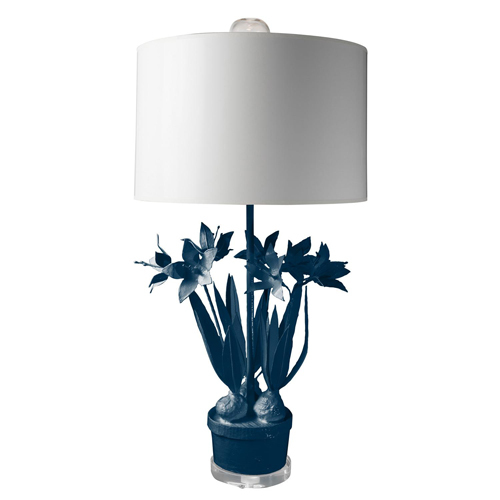 We know, we know, a floral table lamp in a boy’s room isn’t necessarily the norm, but this could actually work (and it’s available in many colors for girls’ rooms too)! Finally, a wall sconce is a great fit for many spaces. We absolutely love the colors and the beautiful design of this one. With just a few weeks to go, we’re looking forward to the first days of spring. Love the floral table lamps! All these lamps and lights are so gorgeous. If I need to pick one, I wouldn’t know which one to go for! I love that floral wall sconce! I wonder how it will look with the lights on.